Waste Not! Want Not! Part Five… | Retired? No one told me! Wow, some of you are real stars with your war on waste and I will say that with regards to picking up rubbish that we see we do need to be careful. If you signed up for the monthly I value food to good to waste challenge I have reduced my waste by over 50% and going down…Mainly by planning and only buying what I need and know I am going to use and also by freezing some things which I know will spoil if I don’t use them…So in essence, I am thinking more and planning…It works! Hurrah that you are making changes in your daily life and also writing to raise awareness among the rest of us! I remember reading a story a while ago about the huge changes that plastic bags had brought to an island culture which for hundreds of years had used really large leaves to wrap and transport items to and from a marketplace… until some enterprising capitalist introduced plastic bags. Everyone in this culture had been accustomed to throwing their wrapping leaves by the wayside because they would soon decompose… but plastic bags don’t decompose. Rapidly this island became littered with plastic debris! Today I (somewhat ambivalently since it is indeed served in a plastic container — and right now it is a huge question mark if anyone is going to step up in the USA and start recycling all of the various plastic objects which until recently we’ve been sending to China for recycling/reuse/disposal) bought a container of vegetarian sushi for lunch. It was served with a small strip of green plastic which serves no purpose other than some sort of decoration (or nod to cultural history?) It started me thinking that grocery stores (this was a Whole Foods, now owned by Amazon) could STOP including these little pieces of green plastic trash in their packages of sushi. The next time I go there I will speak with a store manager to ask how s/he recommends I send this idea to their corporate headquarters… Obviously, this is a tiny drop in the ocean of plastic contamination on planet earth — but all of those tiny, unnecessary, purely decorative, green strips of plastic probably add up to millions per year! Thank you for blogging about this hugely important topic!!! What does “peak quality” mean? For the majority of products, manufacturers use their own methods to determine what dates to list on the packaging. There’s a financial incentive for manufacturers to sell their products when they taste best so that consumers come back and buy those same products again and again. Peak quality is not a standard of microbiological safety. Rather, it is a factor defined by consumer taste testing, lab tests for shelf life and product turnover rates. Common sense is required…Any dates are a guide purely for manufacturers and stats…We have common sense, don’t we??? Turn your leftover dinner into lunch the next day...With a little planning, you could create a week’s worth of taking it to work lunches. Leftover Pasta or cooked vegetables make a Frittata. Add oil to heavy bottomed pan /skillet and add cooked sliced potatoes cover with lid or foil and cook until golden if uncooked then cook for about 10 minutes until tender but firm. Cook salami/ chorizo…I like mine a little crispy. Add onions and mushrooms and cook until onion softens. Add any other veg you are using I added sliced tomato but you could add anything spinach, finely sliced peppers, leftover cooked vegetables, cold sliced potatoes. Beat eggs with milk and season well. Pour over your potatoes and vegetables and lower the heat. Add grated cheese. Cook for 5-7 minutes until the eggs are set. Turn out onto a plate and cut into portions. Serve with a mixed salad and crusty bread. Think soup… The steamed, roasted or grilled vegetables that you served as a side dish one night can become soup on another day. In a blender, puree the vegetables with 3 or 4 cups of vegetable or chicken broth, then warm the soup in a pot. Season to taste with salt and pepper, and finish the soup with a bit of pesto, olive oil or croutons. There are so many ways you can use leftovers without just throwing them away you can in effect make a tasty meal out of virtually nothing. 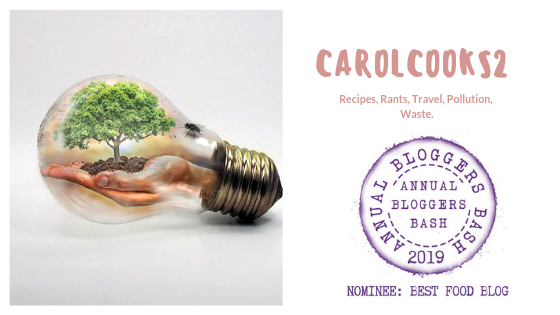 This entry was posted in Carol Cooks2, Cook from scratch, No to food waste, Uncategorized, Waste not want not and tagged Frittata, Recipes, recyling, Waste not want not on November 15, 2018 by CarolCooks2. A great post! Yes it is important to not waste! We always eat leftovers. We have a leftover night once a week. It’s fun to see what we can come up with. My grandmother used to make leftovers out of leftovers. I come by it naturally. And those best before dates? Some common sense is required. I never throw things away just because of the date. I’ve had things past their supposed use by date that are still good, and things that have gone bad before they’re supposed to. So I just check the items. If it seems fine, I use it, in date or not. Thank you for good advice and good recipe ideas. I am a great recycler of food sometimes to the irritation of my husband and kids.